In this section, we are going to look about Metasploit Community. It is a web GUI that uses Metasploit, but it has some features other than exploiting vulnerabilities. 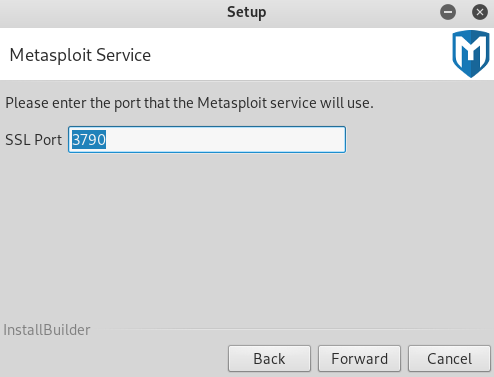 Metasploit community can be used to discover open ports, just like Zenmap, and install service, but it doesn't stop there. It is also used to map these ports and services to existing exploits in Metasploit and existing modules. From there we can literally exploit a vulnerability straight away using Metasploit. Let's see how we can use it. Step 6: Now, it is ready to install. 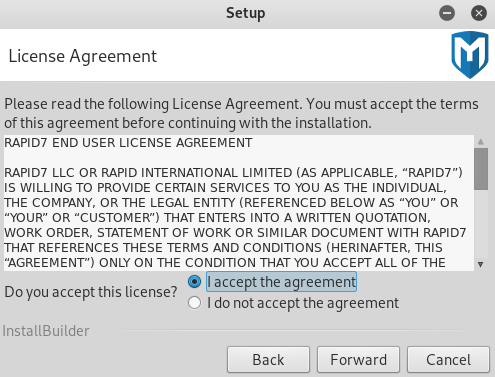 Once we press Forward, it will install it for us, and it will ask us for a username and a password for the web interface. 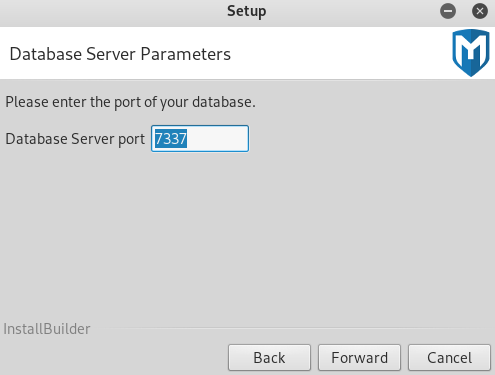 Set that as well, pick a username and a password, and the process will finish up smoothly. 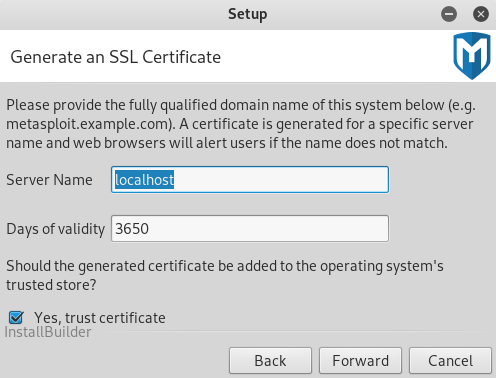 Once the service has started, all we have to go to a browser and navigate to https. Make sure to put https not http://localhot/, and then we enter the port that Metasploit runs on, which is 3790. Press Enter. Now it is asking us to log in, then we have to enter the username and password that we picked while we installed the program, and then we will be able to use it. We will be talking about logging in and using the tool in the next section.